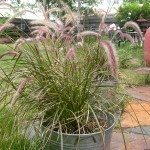 I planted a grass the first week of June, which is either fountain or pampas, and it is still as tall as when I bought it. I've lost the marker but I do know it was a taller species. In Iowa we have been getting a lot of rain and only about 4 days in the 80's with sun. I have been adding some miracle grow but isn't helping. Is it not getting enough heat? And how can I get it to grow? I am just north of you in Southern MN and I agree, we have not been warm enough for many plants. Is the soil well draining or are the plants staying soggy? If the ground is not draining the plants could have root rot. 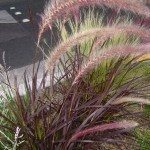 Generally ornamental grasses and Pampas Grass are easy to care for, with little issues. Give them more time. Watch carefully for signs of insects or disease as damp conditions can invite problems.